This week, Tech City News released a list on the top 5 fintech raises that have taken place in the last year in the UK. Anthemis portfolio companies Atom Bank and CurrencyCloud were ranked number 1 and 2 on the list, with Anthemis mentioned as key investors in their history. 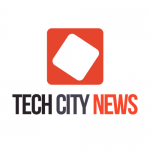 Read the full list on Tech City News.